One page wordpress mobile app theme prepares for your site a clean interface with bright colors that make it very easy to create a professional landing page! 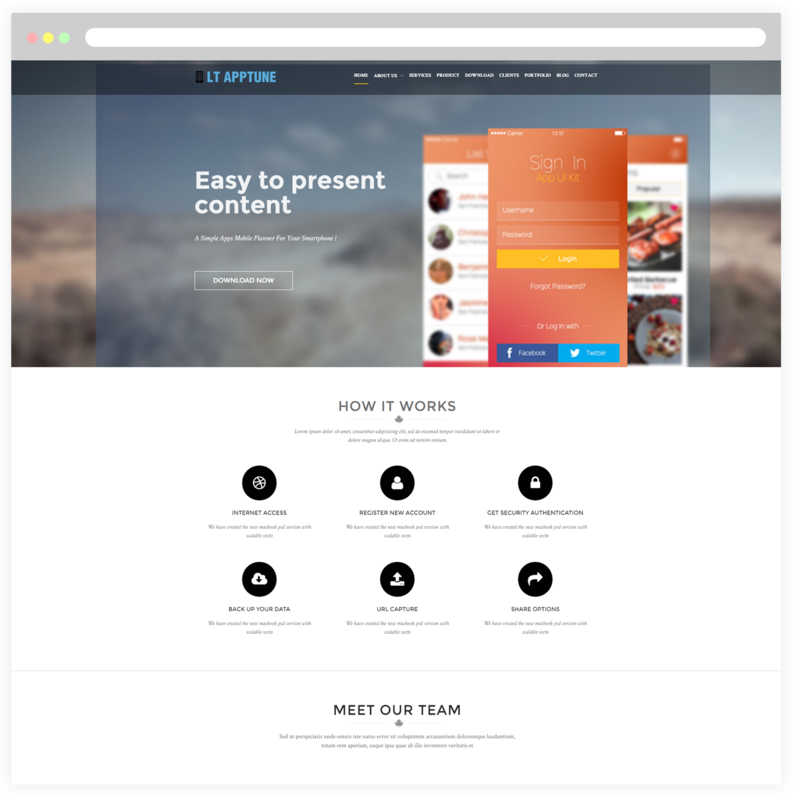 LT Apptune Onepage is a free single page version of LT Apptune Onepage WordPress Theme (multi-page). This is an awesome theme for the application developer to promote and describe more detail about their app product. The theme bring your site a clean interface with bright colors that make it very easy to create an awesome landing page to promote your mobile app or other types of software. 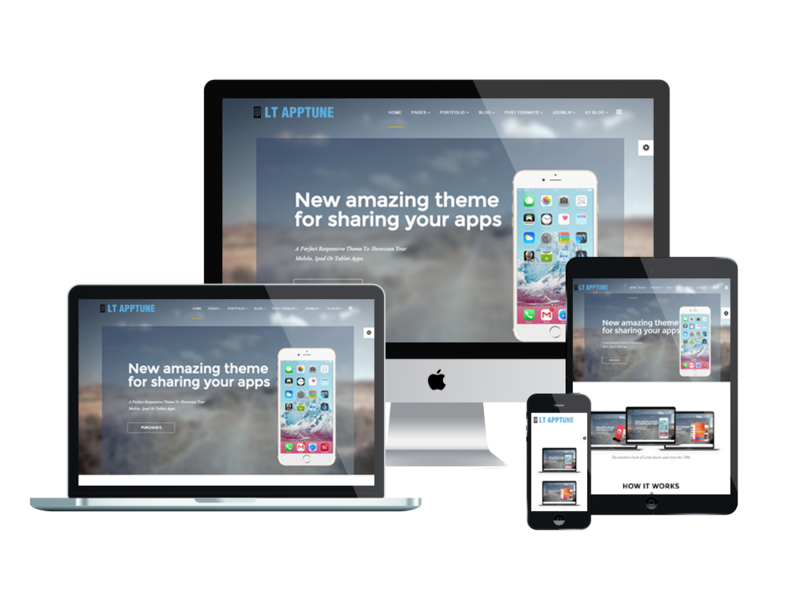 LT Apptune Onepage supports fully responsive layouts to make sure your website will look more great on any screen size of all mobile devices. 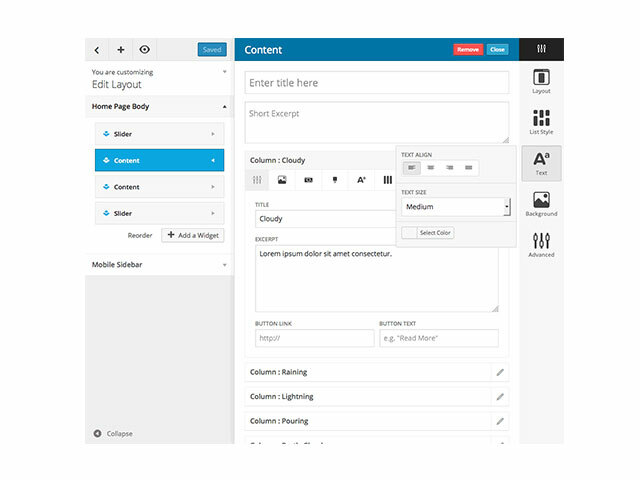 In addition, it comes with lots of really useful built-in features such as strong shortcode, drag-drop layout content, Bootstrap CSS & Hybrid framework… ready to help you easily customize the design. If you are an app developer and have created a bunch of applications, you definitely need website to attract more buyers to your app store. AT Apptune One page will be a right choice for you!